4) Sprinkle some chopped spring onions. 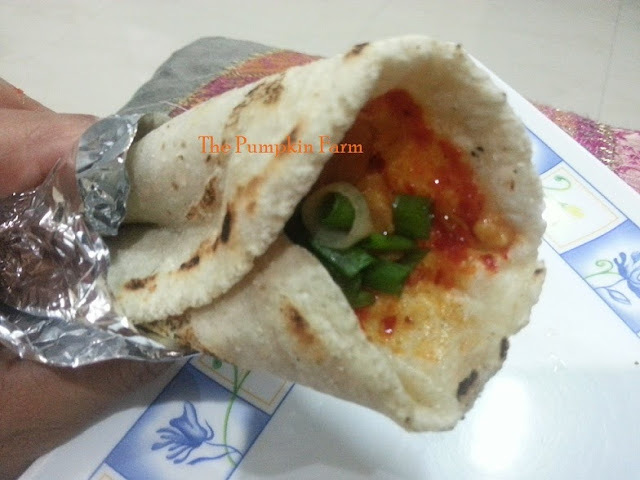 Makes life very easy right with these wraps..interesting..
Lovely recipe and look healthy meal. Seriously i want that wrap,just cant take my eyes off. oh that is beautiful!!! so perfect for lunchbox too!! What a hearty, spicy wrap.. Very inviting.